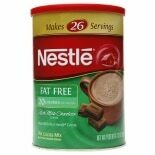 Shop Nestle Hot Cocoa Fat Free Canister (7.33 oz. )7.33 oz. $599$5 and 99 cents$0.82 / oz. 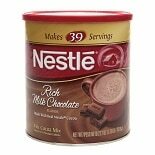 Shop Nestle Hot Cocoa Mix Rich Milk Chocolate (27.7 oz. )27.7 oz. $799$7 and 99 cents$0.29 / oz. 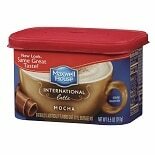 Shop Maxwell House Hot Latte Cafe-Style Beverage Mix Mocha Latte (8.5 oz. )8.5 oz. 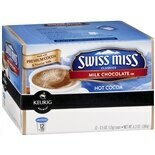 Shop Maxwell House Hot Latte Cafe-Style Beverage Mix Vanilla Bean Latte (8.5 oz. )8.5 oz. $449$4 and 49 cents$0.53 / oz. 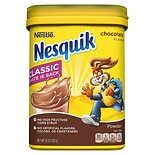 Shop Nesquik Powdered Mix Chocolate (9.38 oz. )9.38 oz. $399$3 and 99 cents$0.43 / oz. $849$8 and 49 cents$1.36 / oz. There is nothing like a cup of hot tea to help you relax. Tea is a wonderful beverage because it not only helps you unwind at the end of the day, but it also tastes great and has many health benefits. Enjoy a specially formulated herbal hot tea to help you metabolize, boost your energy or aid in your sleep. If you are bored with the same old varieties of hot tea, try some gourmet hot tea in one of the many imaginative flavors available. 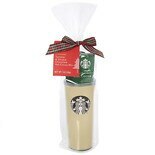 Try some green tea or white tea when you are in the mood for a lighter-flavored hot beverage. Different varieties of black tea, including oolong tea, offer deep, distinctive flavors for when you are in the mood for a fuller-flavored beverage. 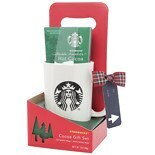 Sweeten your tea with honey, sugar or other sweetener, and add some cream to personalize your flavorful drink.